The biopic of Prime Minister Narendra Modi, PM Narendra Modi, has been pulled ahead by a week and will now release on April 5. Mumbai: Film PM Narendra Modi has been one of the most talked about films of the year. The anticipation for the film has gone higher after the makers revealed the 9 looks of actor Vivek Oberoi in the film. We will not have to wait for a long time to watch the film as the makers have now decided to come a week early April 5th. The film will also release in Tamil and Telugu. Producer Sandip Ssingh said, "We are bringing this film a week early on public demand. There is a lot of love and anticipation among the people and we don't want them to wait longer. This is a story of 1.3 billion people, and I can't wait to show it to them." Directed by Omung Kumar, 'PM Narendra Modi’ the film will traverse the journey of Narendra Modi from his humble beginnings to becoming the Prime Minister of India. The makers unveiled the first look and poster of the film in January in 23 languages, made a splash on the internet. The news was also confirmed by leading film trade analyst Taran Adarsh on his Twitter profile. A new poster was released with the news of shifts in date. It depicts Vivek in the centre as he adorns a white kurta, much like Modi has often been seen wearing. 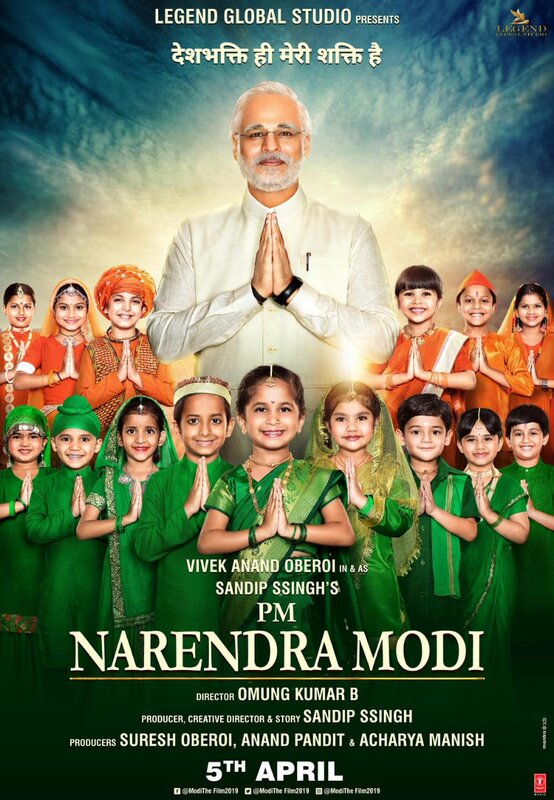 The PM is surrounded by children in the new poster, who are dressed in the tri-colour. The poster is captioned "Deshbhakti hi mera shakti hai" (serving the country is my power). As reported earlier, in the wake of the demise of former Goa Chief Minister Manohar Parrikar on the evening of March 17, the makers of Narendra Modi's biopic postponed the launch of the second poster of the film. Bharatiya Janta Party (BJP) President Amit Shah was scheduled to unveil the new poster on Monday in Delhi. 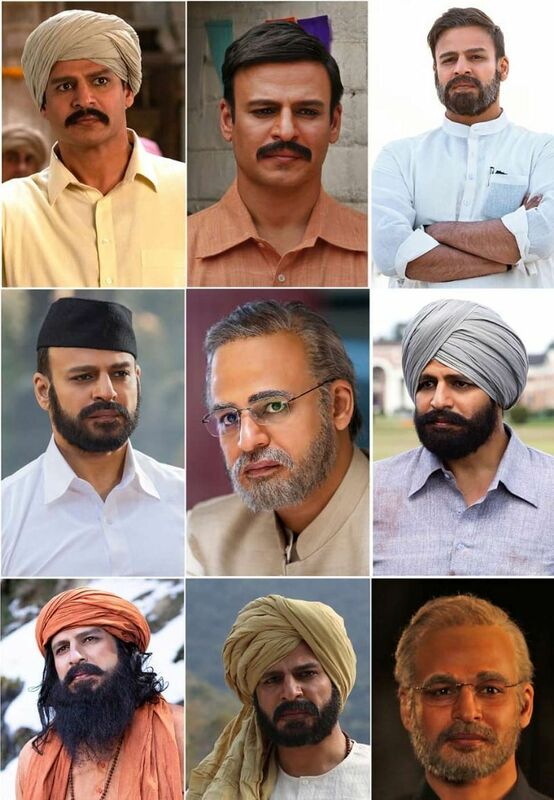 Also read: Have you checked out the 9 looks of Vivek Oberoi as PM Narendra Modi? 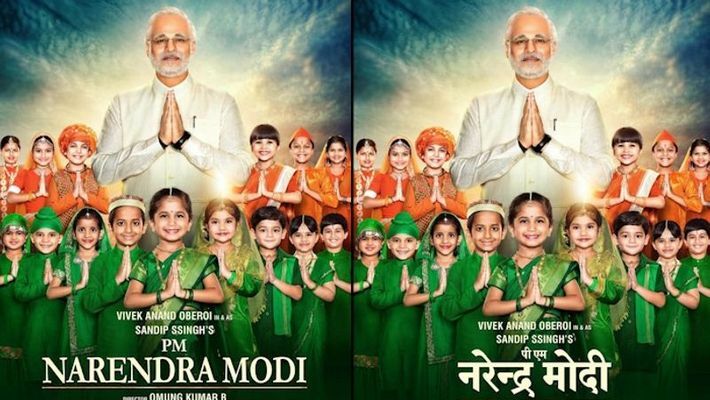 The film has versatile actor Vivek Oberoi in and as ‘PM Narendra Modi’, actors Boman Irani, Manoj Joshi, Prashant Narayanan, Zarina Wahab, Barkha Sengupta, Anjan Shrivastav, Yatin Karyekar, Ramakant Dayma, Akshat R Saluja, Jimesh Patel and Darshan Kumaar in important roles.